Mulberry is an It-Girl brand with a history rooted in British heritage. Manufactured in Somerset, England, and adored by style icons everywhere, the brand engaged King & Partners to handle digital strategy and site design. The site launch was aptly timed for Mulberry Creative Director Johnny Coca’s arrival, signaling new blood in the brand. We took a fresh look at the brand identity to create positioning, content strategy, and tone of voice aimed to carve a unique place for Mulberry in the modern luxury space. The resulting digital experience enables brand storytelling and an exceptional customer journey. We started by conducting a digital strategy to define how Mulberry is expressed across the site, and provided all site creative for a new build on IBM Websphere. Our challenge was to find ways to push the front end confines of the platform. We collaborated closely with the Mulberry tech team to ensure that the final product matched the site designs as closely as possible. 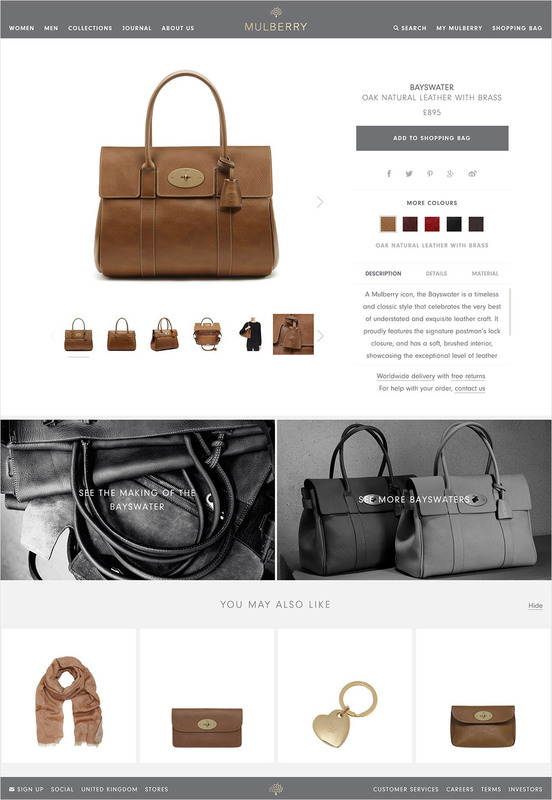 Mulberry’s covetable products become must-haves when seen on product pages. Key product details are at a shopper’s fingertips, leaving no question unanswered. 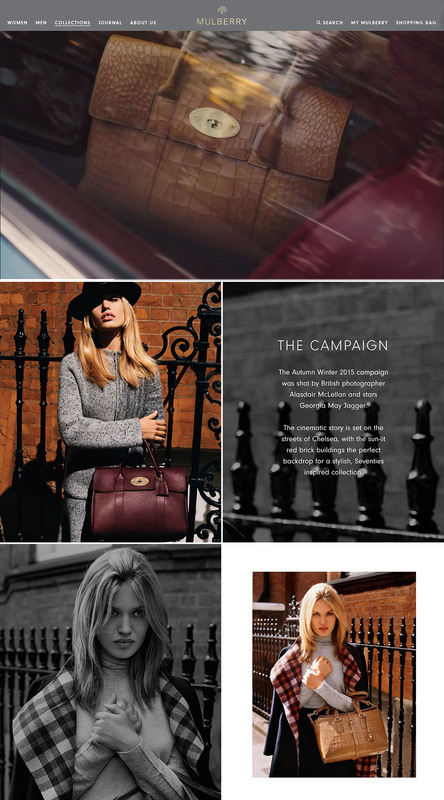 Our digital strategy and site design delivers a new online environment for Mulberry that blends editorial content in the brand voice with a clear user journey that delights the visitor and encourages repeat visits.